January 23, 2019 The Academy of Motion Picture Arts and Sciences announced the nominees of the 91st annual Academy Awards early Tuesday morning. Two of the Oscar nominees for Best Documentary Feature feature work by New York Film Academy (NYFA) faculty members, while another two nominees have been guest speakers for NYFA students. The 2019 Oscars ceremony will air live on ABC on Sunday, February 24. Notably, the ceremony may go without a host for the first time in years. In general, most of the nominees aren’t too surprising, mirroring similar lists to the BAFTAs and Golden Globes. Two of the five Best Documentary Feature nominees are RBG and Free Solo. 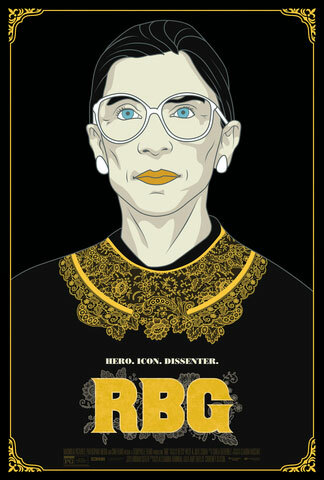 RBG, the wildly popular documentary from CNN Films profiling Supreme Court Justice Ruth Bader Ginsburg, also picked up an Oscar nomination for Best Original Song. The film was shot by director of photography and NYFA Documentary cinematography instructor Claudia Raschke, and directed by Betsy West and Julie Cohen. Raschke has worked on four other films previously nominated for Academy Awards, as well as Peabody, DuPont, and National Board of Review Award winners. Her oeuvre includes acclaimed documentaries as varied as My Architect, about Louis Kahn, Mad Hot Ballroom, which focuses on a New York dance program, and Particle Fever, which tracks the experiments of the Large Hadron Collider that ultimately discovered the Higgs boson (aka the “God particle”). 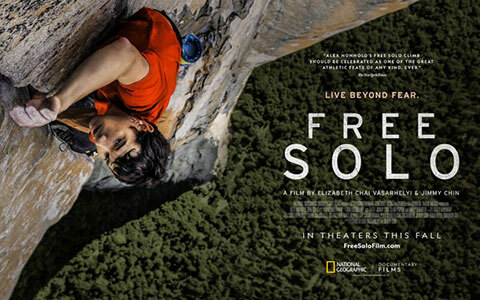 Free Solo is the critically-acclaimed and visually arresting National Geographic Films documentary following rock climber Alex Honnold as he makes a record-breaking attempt to scale El Capitan without the aid of ropes. The film’s editor, NYFA Documentary editing instructor Bob Eisenhardt, ACE, has edited over 60 films — mostly feature documentaries — including Everything is Copy (HBO), Jerusalem (IMAX), and Sundance Audience Award-winner Meru, directed by Free Solo directors Jimmy Chin and Elizabeth Chai Vasarhelyi. Eisenhardt was nominated for the Best Documentary Short Academy Award for Spaces: The Architecture of Paul Rudolph, and is a three-time Emmy winner and recipient of the coveted “Eddie” aka American Cinema Editors Award. 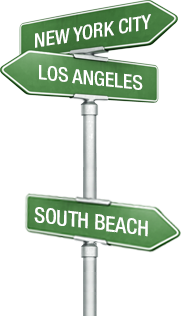 Another two films Eisenhardt edited have previously been nominated for Oscars: The Divided Trail: A Native American Odyssey and No End In Sight. In addition to the two Best Documentary Feature nominees, two previous NYFA guest speakers also picked up nods in acting categories. Adam Driver, who spoke with NYFA students in New York City last spring, was nominated for Best Actor in a Supporting Role for his work in Spike Lee’s BlacKkKlansman. Additionally, NYFA alum Francesco Panzieri worked as a VFX artist on Avengers: Infinity War, which has earned an Oscar nomination for Best Visual Effects. Panzieri, who attended the 1-Year 3D Animation & VFX program at NYFA in 2008, has worked as a visual effects artist on Spider-Man: Homecoming, Star Wars: The Force Awakens, and HBO’s Westworld. The New York Film Academy congratulates this year’s nominees for the Academy Award and looks forward to seeing the winners announced next month!